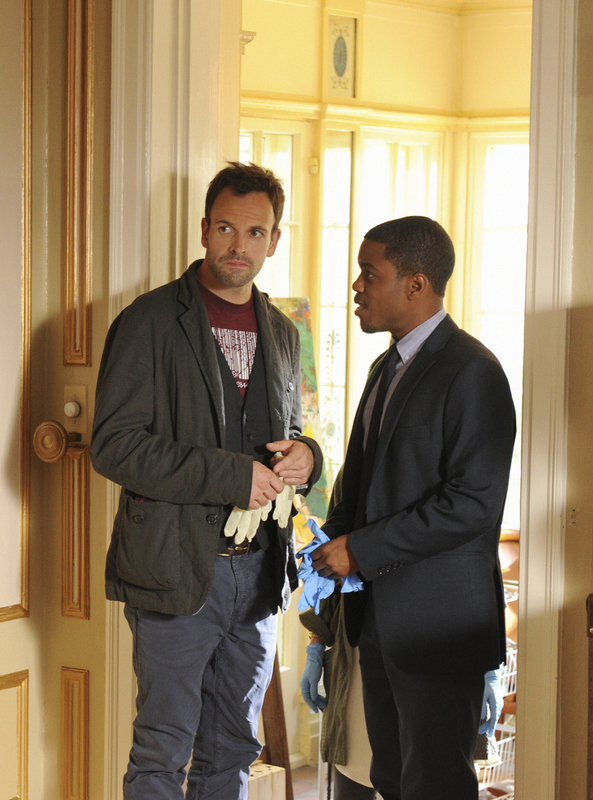 Sherlock (Jonny Lee Miller, left) consults on a child abduction case involving a serial killer who is nicknamed “The Balloon Man,” because he leaves a signature batch of balloons at each of his crime scenes. Also pictured is Detective Marcus Bell (Jon Michael Hill, right). Photo: David M. Russell/CBS ©2012 CBS Broadcasting, Inc. All Rights Reserved.